The TackleDirect Striper Surf Fishing Kit contains lures that will surely attract the attention of hungry bass prowling the surf. Other accessory items include fluorocarbon leader and a hook sharpener. 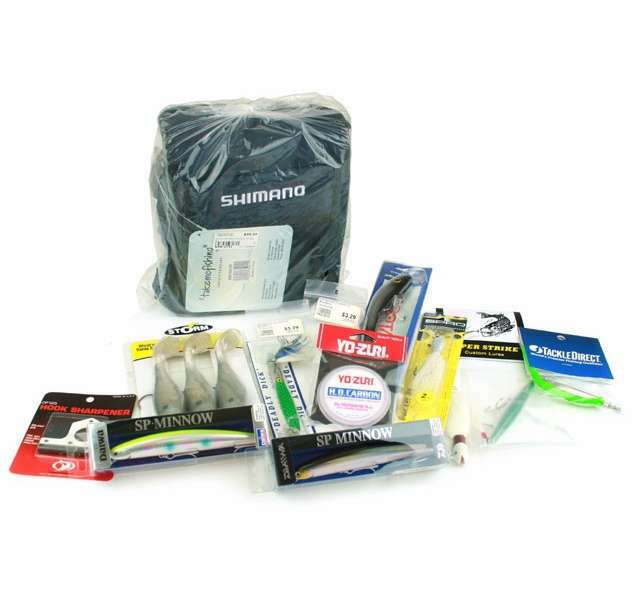 The Shimano BWVSB230 Bluewave Small Surf Bag will store all your surf gear together. 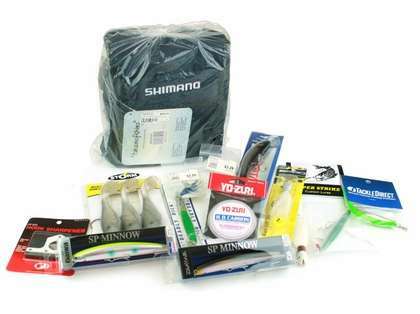 You get a lot of crucial lures and components for bass fishing in the surf or jetties for real cheap in this package. Nice mix of the basics to get you stated on the surf, bag works very well and is comfortable enough to make long cast while wearing. Great deal, and perfect for both novice and experienced fishermen. From the SP Minnows to the swim shads, these lures catch fish. The listed components of this kit add up to only 145.81 retail, no the $167.14 listed. Is something missing from the list or are component prices in error? Hello Ku. There were items apart of this kit that have gotten discontinued. The price now of the cost items is $145.81 and you will now pat $133.71 which is about $12.10 off the normal price of the items.